Anyway, here’s my contribution to Anti Bullying week, and in hope that things can change and progress for the better in the future. After all, it takes a weak person to turn their own disappointment and issues onto someone else. and from his pocket, his money will fall. and starts to walk home, the lonely street. Being the largest of the Spanish islands, Majorca is also known for its beautiful coastline and many treasured caves. On the South east of the island, not far from Porto Cristo, (now famous as the home of tennis player Nedal) lies the most famous caves of drach – or ‘dragon’. They were discovered in 1878 by the misadventure of French explorer, Rius Y Jaume. But it wasn’t until 1896 that they were properly explored, by a man called Edward Alfred Martel. Martel had already explored most of the important caves of Europe, but he was particularly fascinated with this Majorcan treasure. He had already researched what little information was known about the caves and then began to plan his trip. Gradually, over the years, and with the owners permission (in 1922, Mr Juan Servera Camps and his wife bought land around Porto Cristo which included the Drach caves) work began in the cavern. Stairs, new paths and an amphitheatre were added and in 1929 the caves were finally open to tourists. On a humid day in October, knowing very little about what to expect, I am about to enter these caves for the first time. And it is something I will never forget. It is an emotional experience that will stay with me for the rest of my life. That moment, as I walk down the steps and into the entrance, when the light fades and my eyes must adjust for a second. And then, suddenly I am inside another world. A world where formations rise up before my very eyes, and every inch of my visual brain is trying to take it in. And what’s more, to comprehend that this has not been done by many skilled hands and hard labour, but by nature itself. It is quite simply, beautiful. The complex spires and mouldings are created by stalagmites, which are made from rock and limestone, when fed with water grow approximately an inch every four years. And these stalagmites are all around me, growing and twisting out of the rocks, stretching up like spires and hanging down like icicles. My immediate reaction is to touch the rock: to try and understand this other world in some way. I have been told repeatedly not to touch anything. And this only adds to the curiosity and the sense that this world is so delicate, that it might crumble before my very eyes. As I walk down the gently sloping pathway, I look on into the distance, where more and more elaborate designs seem spread out before me. My imagination begins to wander, and I imagine what creatures might live inside these caves. Dragons, sea creatures, avatar style beings?? But the atmosphere is oddly calming and comforting. Looking down through the rock I can see the turquoise water sparkling, pure and untouched. I feel like I am in a dream. I began to notice the humidity as I walk further into the chasm. It feels good on my skin. And this is the environment that helps the stalagmites to grow and weave their work, while the human race has lived and died over centuries. Those who have studied the caves, have divided them into rooms: Snow-capped mountain, Enchanted town, Venetian Corner, Angelic room, Iron Columns, Stygian Lake, Diana’s Bath’s, Love Tree, Hanging Pins, Mystery Column, Jacob’s Stairs …. But to describe them like this does nothing to detail their visual beauty. They do not permit people to take photographs or video, so postcards are the only available option. 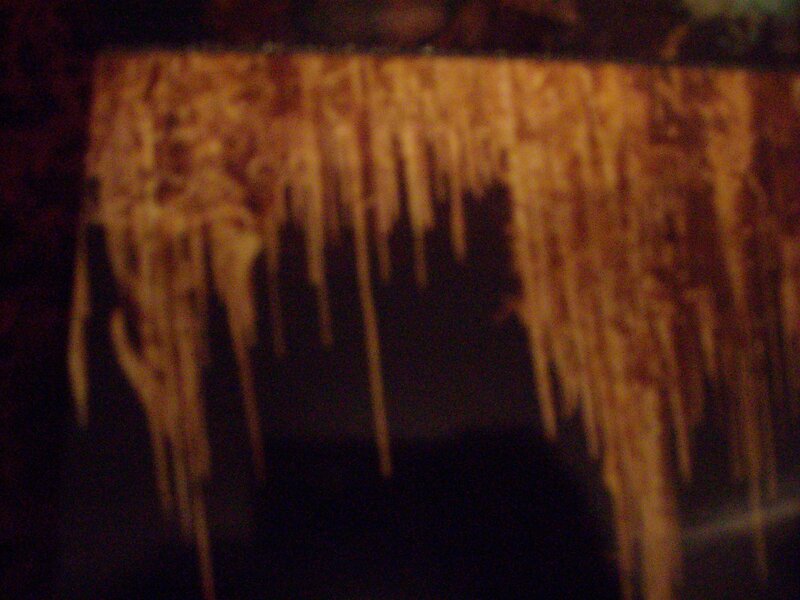 Below is an example of the stalagmite sculptures. They are not very clear because they are from postcards. As I made my way down the winding paths of the caves, taking in the wonders of this heaven like place, I was unaware that I was heading towards something rather special. At the end of the path, you come out into an amphitheatre, which is set in front of a beautiful turquoise lake. This is known as LakeMartel. As you sit there, and take in the exquisite beauty and your fortune on being able to experience it, an announcement tells you some information about the caves. Then, it is time for the concert. Music was introduced to the caves for the first time in 1931, by Mr Juan Servera after he had experienced a wide range of musical and theatrical tributes to the Drach caves. This original idea works incredibly well, as the caves have the natural acoustics necessary to carry the music. I sit in the darkness, waiting, peaceful as the silence and the atmosphere surrounds me. Then, I began to see a light shining on the water, followed by the sounds of a lonely violin, then another, and the light begins to grow brighter as the first of three boats row, slowly, into view. As they glide effortlessly across the water, their lights twinkling on its surface and the music building to a crescendo, I feel quite overcome with emotion. It is absolutely beautiful. In these few minutes, the world has ebbed away. There was nothing but peace. The boats stop at the side of the lake and continued to play for a few moments, before rowing back across before us and disappearing from view. After a pause, an overwhelming applause echoes across the caves. And then, the beginning of the famous light show, by Carlos Buigas. Buigas is an engineer, who is famous for his illuminated fountains at Montjuic for Barcelona’s fair in 1929. Apparently, Buigas didn’t accept payment for his work because he said it was ‘priceless’ and there was nothing he has worked on that came close. The most magnificent effect of the ‘sunrise’ over the lake is an incredible feet in lighting engineering. 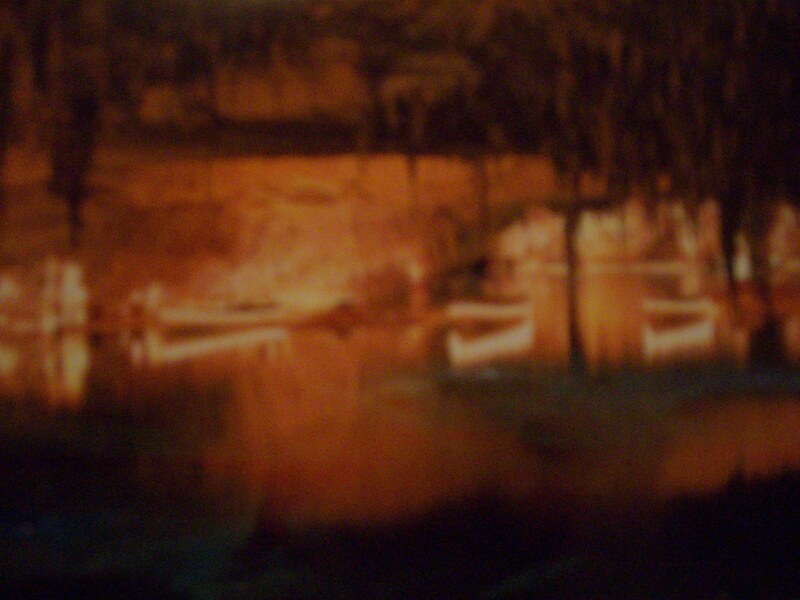 My journey ends by boat, being rowed the last 150 metres of the caves, along the crystal clear lake. As I trail my hand through the warm water, I try to take in as much of this paradise as I can. And I vow, in moments of stress and upset, to return to this calming place, the sensory haven that this wonderland had created for me. If you ever have a chance to explore these caves, you must take it. There are no words that can fully describe it. It is one of nature’s miracles, and once you experience it, I promise, you will never forget.